Paul Odindo commonly referred to as Willy Paul Msafi is not new to controversies. Most of the time, the sultry gospel singer hit the news headlines for the wrong reasons and this time it became worse. Rumor has been doing rounds that the ‘Tam Tam’ hit maker has ordered Leila, a 19-year-old lady to ab0rt ‘their’ child. The two have been dating for a while and when Willy Paul learnt that Leila was pregnant, he started avoiding her like the plaque. 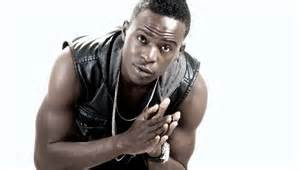 It is alleged that Willy Paul went ahead to physically batter his heavily pregnant girlfriend something he refuted. When Willy Paul was asked to clear the air, he obviously denied the allegations claiming that his haters and enemies are at work. Leila however avers that she has substantial and concrete evidence proving that she and Willy Paul have been communicating and that the scandalous and contentious singer ordered her to terminate the pregnancy. Those who TRUST in the Lord are like MOUNT ZION they cannot be shaken No matter what they say, nothing will stop me from preaching the gospel.... watch out for my new video SIJAFIKA,ft Size 8, Gloria Muliro and Kambua dropping next week.